It is Guru who takes us from the darkness of life and enlightens our mind. On Tuesday, July 19,2016 the auspicious day of Guru Purnima was celebrated at WIS, Bhilwara. 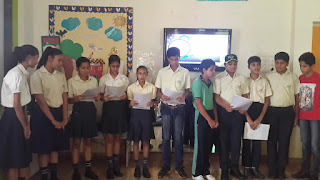 Students participated in the discussion and highlighted about the importance of Gurus through their wonderful poems, shloks etc. They learned how a Guru can enlighten their mind and play a dynamic role in moulding their life. 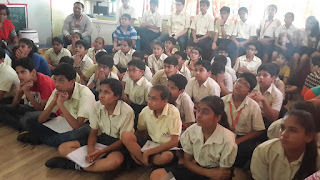 Students were also shown a movie about the importance of Gurus in their life. Happy Guru Purnima to all !